We are still awaiting to learn about the final release date for Behemoth's next title, BattleBlock Theater, as the more we see and hear, the more we want it to be released already. The latest teaser from them showcases some of the user created levels that those lucky few beta testers made during the recent(ly finished) open beta. 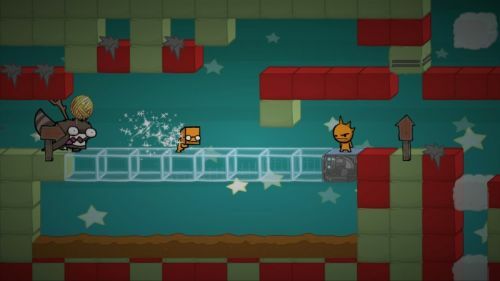 The level editor itself is a feature that was demoed at PAX 2012 and was confirmed to be cooperative, though we weren't able to get our hands on it at the time. Check out what insanity your fellow players will have in store for you. Unfortunately for the testers (and us), the levels that are shown off in this video were only available during the beta itself so they and other players won't be able to enjoy them come that eventual release day. Everything's still under NDA and hush hush at this point, but some of the beta testers have been leaving little teasers of their own. Most of which are along the lines of "you guys are in for a treat." So like we said, Behemoth, when do we get a turn?